Saving into a pension could become less generous, as speculation mounts that the government will reduce pension tax relief to fund the NHS in the upcoming Autumn Budget. The government has promised not to raise income tax or VAT, and has already been forced to row back plans to increase National Insurance contributions. It is thought that the Chancellor may tinker with pension tax relief, which costs almost £40bn, to fulfil the government’s pledge to provide a £20bn boost to the health service. Here we take a look at how the current system of pension tax relief works, what it’s costing and what could replace it. Pension tax relief is a bonus paid by the government when you save into a pension to incentivise saving for your future. Pension savers get paid a top-up from the government, which is set according to their highest rate of income tax. Top-rate taxpayers pay 46% income tax and can claim 46% pension tax relief. So a basic-rate taxpayer would only need to pay £80 to make a £100 contribution to their pension savings. A higher-rate taxpayer would need to make just a £60 contribution (£59 in Scotland) to get the same £100 contribution to their pot. While additional-rate taxpayers would only have to put £55 (£54 in Scotland) in to boost their pot by £100. How much does pension tax relief cost? The current system of pension tax relief cost the Treasury £38.6bn in 2016-17, up from £38.5bn in 2015-16, according to the latest official figures from HMRC. The uplift is linked to the introduction of automatic enrolment, which has increased the number of individuals saving into a workplace pension since 2012. 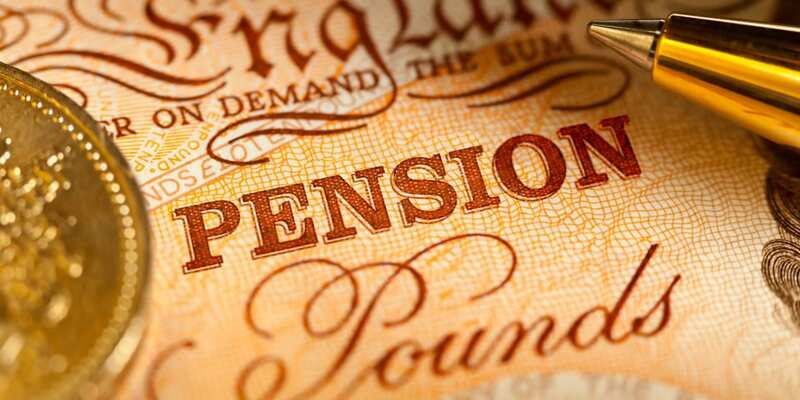 It’s estimated that the total cost of pension tax relief could balloon to £41bn in 2017-18 to reflect automatic enrolment gathering pace in this period, with contributions rising and more people qualifying to be enrolled. Will pension tax relief be scrapped? The Telegraph reports that a source close to the Treasury says the amount being paid out in top-ups is too high not to be considered to fund the government’s spending pressures. Diverting the pension tax relief cash pot could help cover Theresa May’s pledge in June to boost funding for the NHS by £20bn. However, it could also damage the motivation to save. Steve Webb, former pensions minister and director of policy at Royal London told Which? : ‘The Chancellor is clearly under pressure to find the money not just for the NHS commitment but for other spending pressures such as social care and public sector pay. The former Chancellor, George Osborne, was keen to shake up pension tax relief in his time at the Treasury and was expected to make radical reforms in the March 2016 Budget. However, he ended up avoiding this and announcing the lifetime Isa to help people save for a first home or pension tax-free and benefit from a tax-free 25% government bonus each year. What could the new pension tax relief system look like? One proposal which is often mooted is moving to a flat-rate system of tax relief on pension contributions, most likely 20%, which would hit higher-rate and additional rate taxpayers the hardest. A higher-rate tax-payer would have to raise their contribution by £20 (£21 in Scotland) to get a £100 contribution in their pot. Meanwhile, additional-rate taxpayers would have to pay an extra £25 (£26 in Scotland) to achieve the same £100 contribution. Alternatively, the government could make further changes to the annual allowance, which is the cap on pension contributions you can make in a year which can earn pension tax relief. The annual allowance for 2018-19 is £40,000, for those that earn less than £150,000. For those that earn more than £150,000, the allowance is tapered. You lose £1 of your annual allowance for every £2 of income above the £150,000 threshold. Once your income reaches £210,000 the allowance is just £10,000. Steve Webb told Which? : ‘The government has form on cutting pension tax relief via salami slicing of rates and limits. ‘I personally don’t think they’ll go for radical reform which would create lots of losers, but more tinkering is very likely. How has the government hit pension savers in the past? The current government has a track record for targeting pension savers to help balance the books. Between 2012 and 2016 the Treasury cut the lifetime allowance, which is the maximum you can save into a pension before being hit with a tax penalty, from £1.8m to £1m. Since 2018 the lifetime allowance has been linked to inflation (as measured by the Consumer Prices Index) so the current limit before incurring a tax penalty stands at £1.03m for 2018-19. The annual allowance was cut from £50,000 to £40,000 in 2014, while the tapered annual allowance took the maximum annual level for the highest earners down to £10,000. The money purchase annual allowance, which is the amount you can invest in a pension once you’ve started drawing it, fell from £10,000 to £4,000 in April last year.